General Electric CEO Jeffrey Immelt has made nice with President Barack Obama on several occasions. Among other things, he chaired the President's Council on Jobs and Competitiveness, which met a grand total of four times in 2011 and 2012 before it was unceremoniously allowed to expire a year later. He fully expected that his company would benefit from its involvement in green energy and its membership in the U.S. Climate Action Partnership. 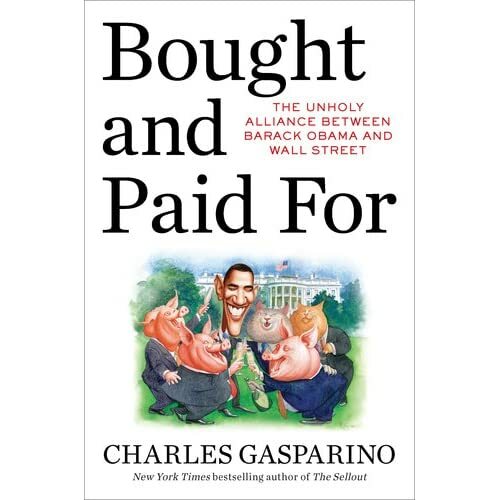 He also endeared himself to Team Obama by calling "other U.S. business leaders greedy and mean." In more than a minor comeuppance, as well as the latest evidence that business-related news reflecting badly on the Obama administration almost never escapes the business pages and center-right blogs and outlets, Inmelt's company has seen its medical division hit hard by the onset of Obamacare. Portions of Bloomberg News's original April 17 report follow the jump. CBS sided with supporters of the "Occupy Wall Street" protests on Monday's Early Show, bringing on former Democratic Senator Russ Feingold to boost the left-leaning demonstrations, with no Republican and/or conservative critics appearing as guests during the program. Feingold slammed Republican presidential candidate Herman Cain as "un-American" for his critique of the protests. Near the end of her interview of the Wisconsin politician, anchor Erica Hill raised Cain's attack on the continuing anti-corporate rallies: "Republican candidate Herman Cain, weighing in over the weekend. He said that, basically, it's un-American to protest capitalism. Businesses have to make money, and if they can do a better job making money oversea- it's an unfortunate reality for many Americans- but they're concerned about their bottom line. Can there be some sort of common ground here?" There was another fascinating part of GE CEO aka White House jobs czar Jeffrey Immelt's interview on 60 Minutes Sunday besides him asking Lesley Stahl why she doesn't root for his company's success. GE Immelt's Stunning Question To Stahl: Why Don't You Want Us To Win? It was literally a show stopper. At the end of his "60 Minutes" interview with Lesley Stahl this evening, GE CEO Jeff Immelt asked her: "I don't know why you don't" root for GE, and by extension for American business, the way company employees do? Did Immelt leave Stahl speechless? Rather than providing an answer, 60 Minutes could only cut to its tick-tick-tick stopwatch. View video after the jump. 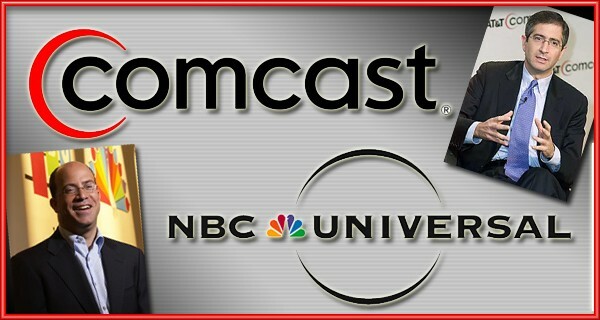 On the same day Comcast announced it was buying a 51 percent stake in General Electric's NBC Universal, its CEO sent a letter to President Obama supporting the Senate's healthcare bill. At virtually the same time, high-ranking Democrats in the House and Senate said Thursday they will closely scrutinize the proposed alliance to determine its impact on the media marketplace. Three years ago, NBC launched a holiday tradition of environmental awareness. In 2007, it kicked off its "Green Week" by turning off the lights during a Sunday sports broadcast (as if turning off studio lights for one minute could mitigate three hours of blazing stadium lights). The rest of the week consisted of cringingly cheesy, greenwashed TV moments, like the cop on the crime drama Life buying a solar farm in his quest to find the person who framed him for murder. Sadly, the line-up for this year's "Green Week," which launches Nov. 15, is just as cringe-worthy. Al Gore will appear again on "30 Rock," undoubtedly spewing dire warnings of the Earth's imminent doom. "The Biggest Loser" will coach its participants to buy organic food and bring their own mugs to coffee shops. Dwight Schrute from "The Office" will role play as a character named "Recyclops," and, in the comedy "Community," Greendale Community College will be renamed "Environ-Dale." They warned back in 2008 what might happen if Barack Obama was elected president, and according to conservative talk show host Rush Limbaugh and Fox News Channel host Glenn Beck, a lot of bad stuff is unfolding right before our eyes. Limbaugh appeared on Beck's Aug. 26 program to discuss the threat of the federal government attempting to regulate the media. He explained the president's policy maneuvers were evidence that this can happen - with very limited opposition in the media. "The stimulus plan - Glenn, look at what they're doing to the U.S. economy," Limbaugh said. "Anybody with a sense of economic literacy would know that this is not how you create jobs. You do not rebuild the private sector. This is being done on purpose. All of these disasters are exactly what Obama wants - the more crises, the better, the more opportunity for government to say let us in and fix the problem. And, with his number one opposition is on radio and Fox News. His number one opposition is on radio. They can't go Fairness Doctrine because it's too obvious. So, they're trying to do this backdoor route with diversity and ownership, a 100-percent tax on operating in order to pay public radio because they're supposedly fair." 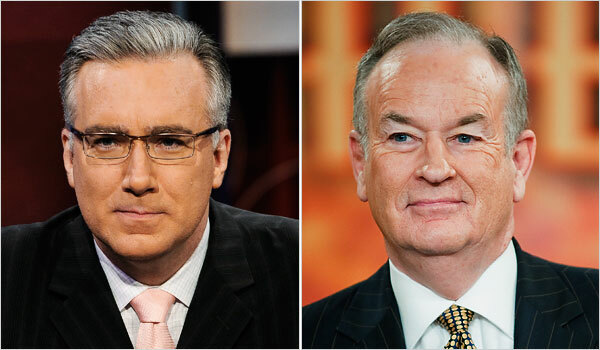 Although the ongoing feud between Fox News's Bill O'Reilly and MSNBC's Keith Olbermann was apparently good for ratings -- likely more for the latter than the former, of course -- the heads of the parent companies of both networks stepped in recently to end the on-air squabble. Not only that, but News Corporation's Rupert Murdoch and General Electric's Jeffrey Immelt were apparently coaxed into doing so by PBS's Charlie Rose. As both Noel Sheppard and I reported recently, General Electric boss Jeffrey Immelt faced a tough crowd at GE's annual stockholder's meeting in April. More and more people are starting to take notice of CNBC's dramatic shift to the left and the liberal groups promoting it. On Fox News Channel's March 27 "The O'Reilly Factor," host Bill O'Reilly and Bernard Goldberg, author of "A Slobbering Love Affair: The True (And Pathetic) Story of the Torrid Romance Between Barack Obama and the Mainstream Media" took a look at trends pointing to this shift that started after the feud between "Mad Money" host Jim Cramer and "The Daily Show" host Jon Stewart. O'Reilly cited a column written by NewsBusters Associate Editor Noel Sheppard on March 26 for The Washington Examiner that noted some of the things indicating CNBC's leftward swing.